Linlithgow RFC get a very generous allocation for tickets for these games and it is important that members order tickets through the Club’s International Ticket Coordinator, Paul Birrell. Last season many people ordered tickets for themselves paying a booking fee to the SRU and depriving the club of commission. That said ONLY the Scotland v France game attracts a commission the SRU obviously feel that the Scotland v England game will sell out regardless. HOWEVER they have pointed out that tickets for Scotland v England will NOT be on public sale so if you want them you need to order through the club. – see below to download the form or contact Paul direct at paul.birrell52@gmail.com. Our Allocation is as follows and Paul will do his best to match your request with overall demand. Allocation will be on a first come first served basis up to a max of 4 tickets per member – orders above this may be reduced depending on demand. Paul would like ORDERS ASAP and by 4th October latest in order to judge demand. Payment will not be due till November/December. 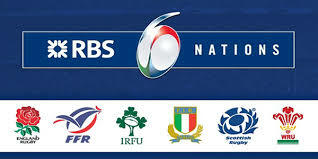 Information now available for tickets for the Wales v Scotland match on Saturday 13 February. Please get your requests in to Paul by 22nd October latest! As yet the SRU has no details of the ticket prices for the other 2 away internationals (Italy and Ireland). Once Paul has this information an order form will be attached to the club website and weekly update.